There's nothing better than a nice relaxing shower after a long day of work, cutting the lawn or just to de-stress after having a rough moment. I love water. At more than one occasion I've considered installing one of those ADA-compliant shower seats in my shower just so I can sit down instead of falling down when I fall asleep for a moment. 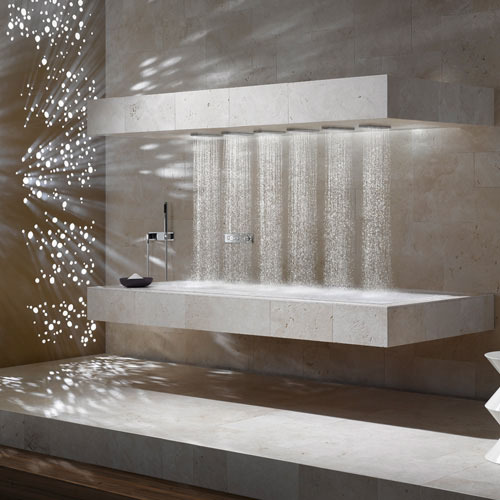 The water wizards over at Dornbracht have figured out a magnificent new way for me to end up with shriveled fingers and toes. 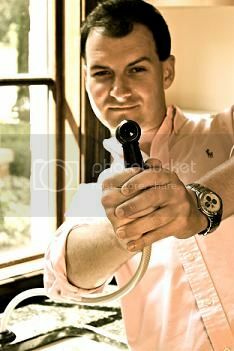 Yes friends... it's a horizontal shower. 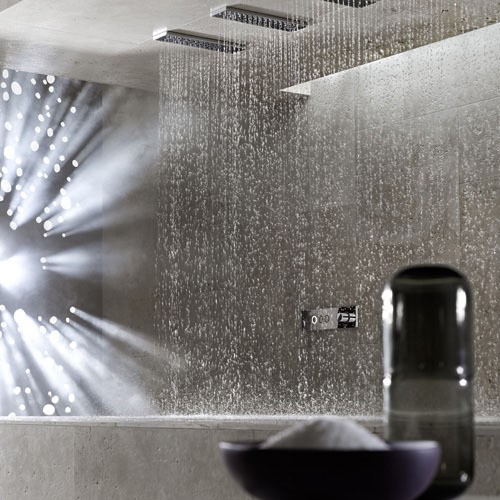 Dornbracht touts their horizontal shower system that uses the Ambience Tuning Technique with six water bars as a tool to shower like never before. The six water bars execute pre-programmed choreographed cycles that allow shower users to choose a program to fit the shower needs of the day. Some of the featured effects are Balancing, Energizing and De-Stressing. So what do you think? I know that I'd be asleep in a matter of seconds, but it sure beats sitting in a tub! 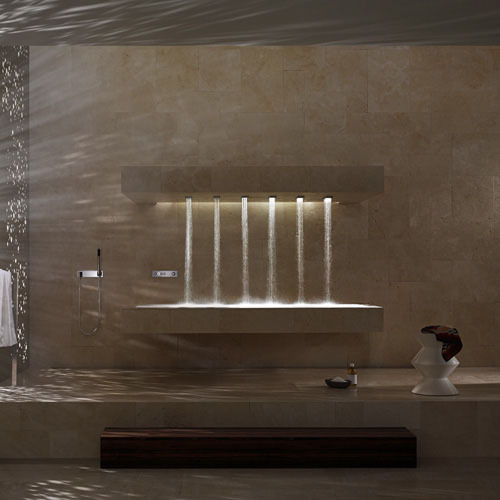 I've never seen a horizontal shower before but I really like it! I'm kind of surprised they haven't popped up locally in some of the higher end new construction homes. I think I could become a fan of these so thanks for blogging about these. I'm with you, Meg- Maybe we'll see some sooner than later! I would love this. I wonder what it costs? I suspect it might just end up doubling the bathroom budget. Good question, Kaci... Of course, the size of the space would likely need to be quite large.